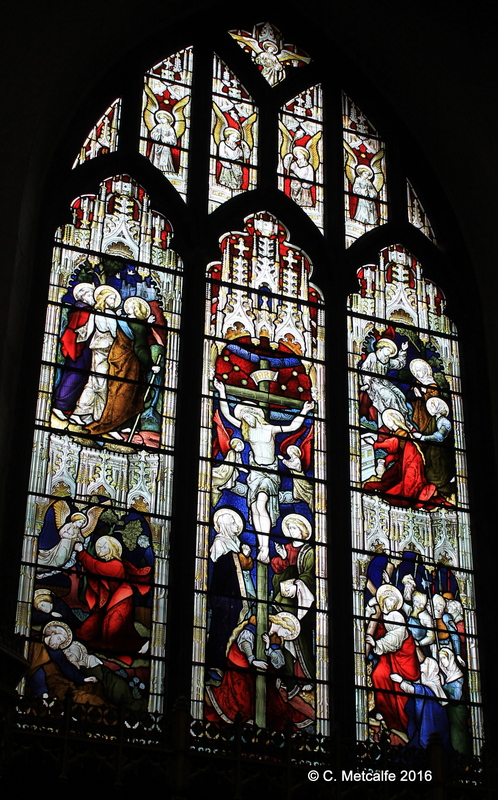 The east window in St Swithun’s church depicts scenes at the heart of Easter and Christianity. The central panel, top and bottom, shows the figure of Christ on the Cross, enduring Crucifixion. At the foot of the Cross are the figures of three women, one with a white head-covering, probably representing Mary the Mother of Jesus, another with fair hair streaming out and her arms around the Cross, perhaps representing Mary Magdalen, and a third woman perhaps representing Mary the sister of Lazarus and Martha. On the left hand side, at the top, we see the Disciples on the road to Emmaus, and below, a depiction of the Agony in the Garden of Gethsemane. On the right hand side, we see Jesus bearing the Cross in the lower panel, and Mary Magdalen at the tomb of Jesus at the top. The colours are rich reds, blues and greens, with contrasting white. The window is a powerful focus for worship. This window is the work of the Hardman glass workshop, dated 1879. A plaque nearby tells us that it was given by Elizabeth Clarke of Frampost in memory of her parents. Other members of this family gave a window on the south side and they were clearly generous patrons of the church. 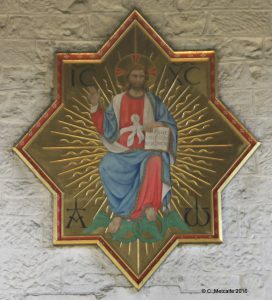 This East window draws the eye towards the altar and upwards, to a painting of Christ in Glory, called The Majestas, designed by Sebastian Comper and installed in the 1960s. The generosity and faith of parishioners in the past is striking. 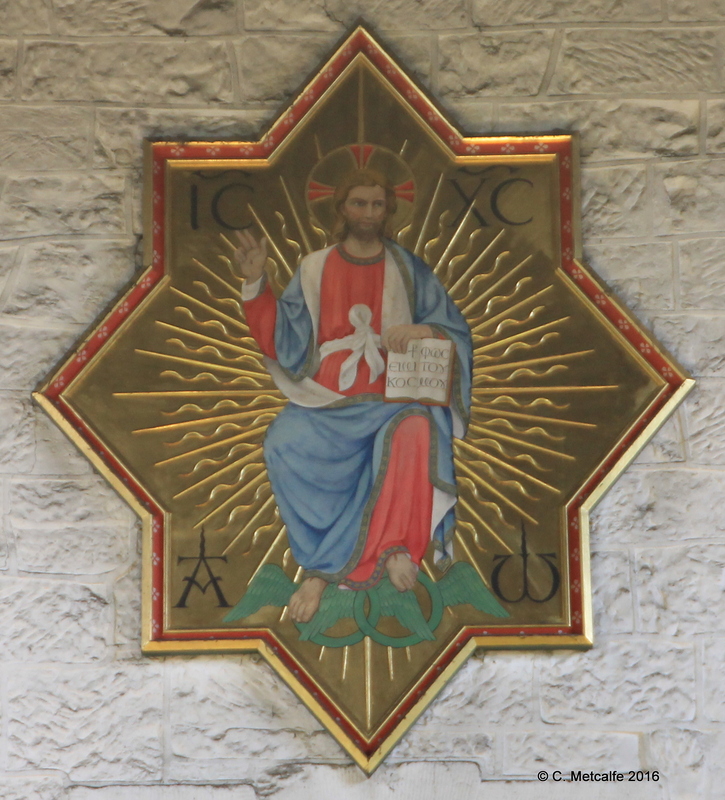 Today the buildings, fabric and furnishings of the church require conservation and restoration, rather than creation. Parishioners and the St Swithun’s ministry team continue to give much time and effort to the life of this church and its people.